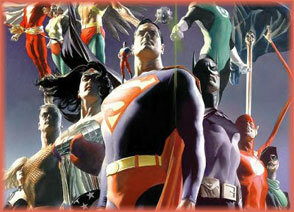 DC Direct presents fan-favorite artist extraordinaire Alex Ross Justice League action figures. Continuing the amazing line of action figures based on the designs and vision of Alex Ross! Each figure includes character specific accessories and a display base and is packaged in a four-color window box.